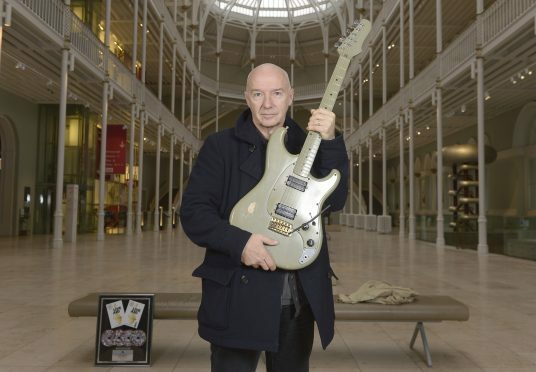 Midge Ure has provided items for the exhibition. Picture: Neil Hanna Photography. An exhibition telling the tale of Scottish pop music over the past 50 years will strike a chord next summer. Rip it Up will take in diverse movements from dancehall to the emergence of pop in an explosion of colour in the 60s, through the 70s and New Wave. The exhibition, which will be at the National Museum of Scotland, will feature clothes, photographs, instruments, memorabilia, props, film and music, as well as interviews and archive footage collated in partnership with BBC Scotland. Artists and bands to be featured in the exhibition will include Gerry Rafferty, Lulu and Franz Ferdinand. A three-part BBC TV series along with digital and radio content will bring the story to life through the voices of those who made the music, those who witnessed it from behind the scenes, and the fans who lived for it.